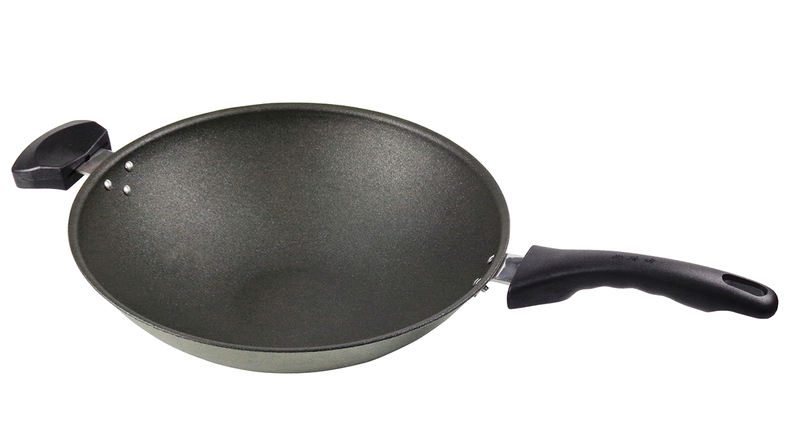 Rose Daikin Ceramic Wokpan-32cm --Kuyei Enterprise Co., Ltd. / assorted aluminum/zinc alloy/ stainless steel kitchenware. efficient, and be heated evenly and quickly. 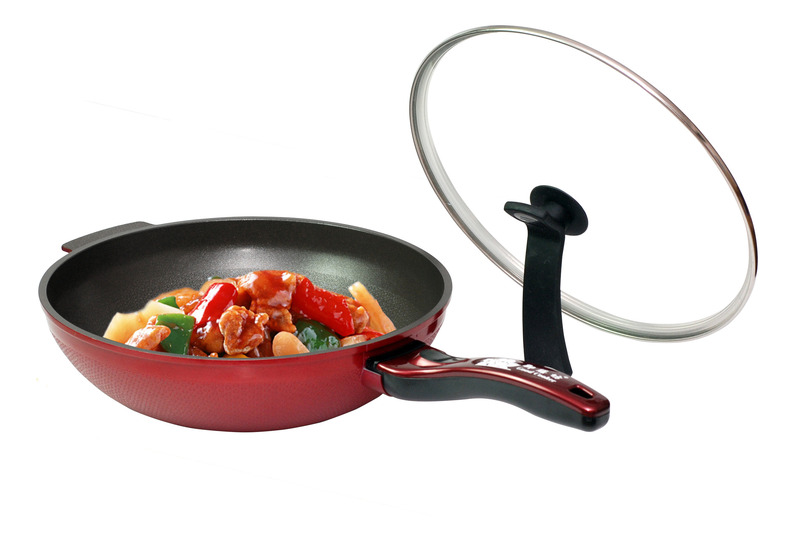 In comparison with stretch forming pan, it would not be out of shape after long-term usage. 2. Fast thermal conductivity & uniform heating. 3. welding handle without rivets at inside wall. 4. 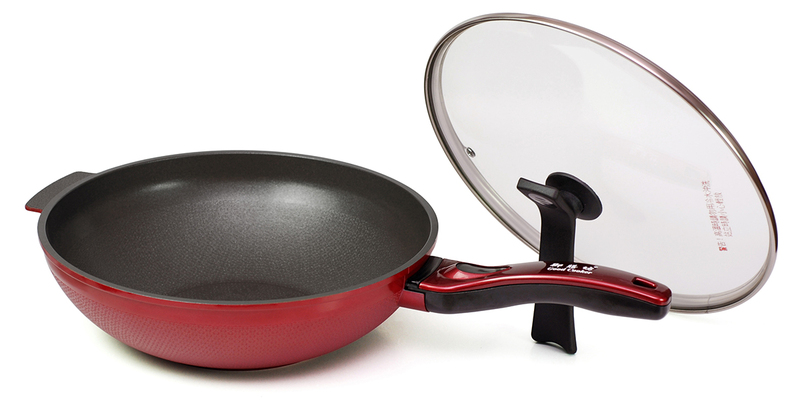 Non-stick coating surface & easy to clean. 5. Ergonomic with heat insulated handle. 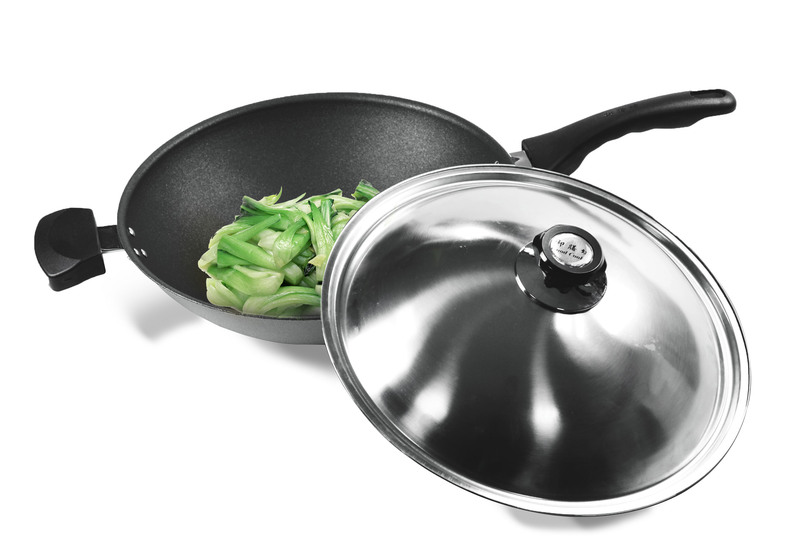 ●Coating Material：Daikin Fluoro Ceramic Nonstick Coated. ●Care Instruction：Hand-wash with soft sponge only.